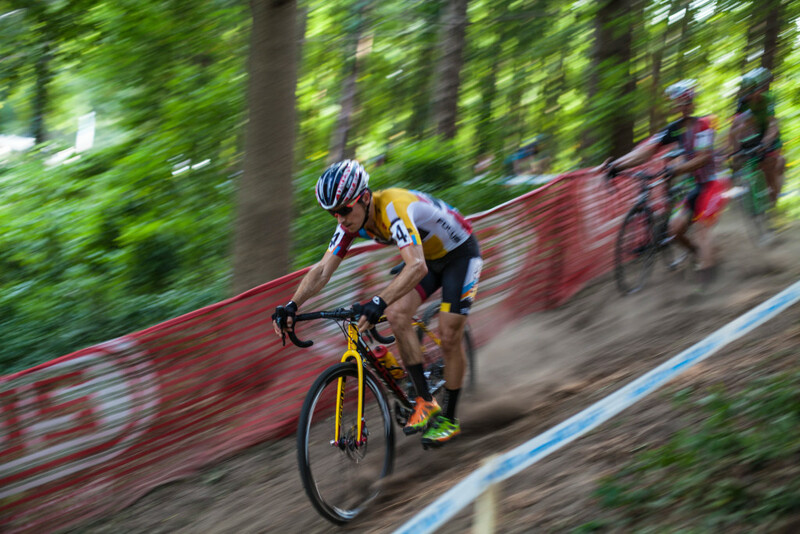 Jeremy Powers runs the stairs on lap one of Day one. This is one of two times all race he dismounted for this section. Note the water bottle (and the calves that scrape it). Also, note the new sponsor on the right leg. 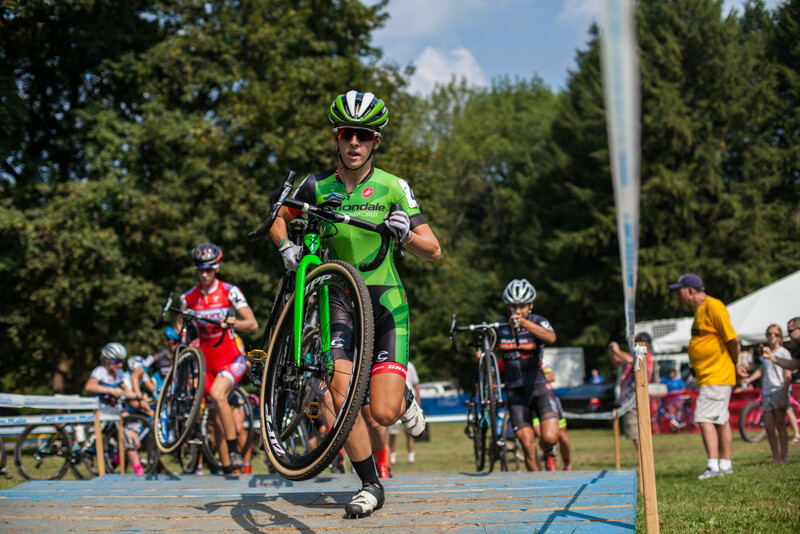 Southpaw Dan Timmerman and his proven-to-be-successful-tubeless-set-up goes shoulder to shoulder with Powers, ending up on the Day 1 podium. Kaitie Antonneau, Day 1 winner got a lead and never looked back. Day 1 was hot, like real hot, the kinda hot that makes you feel like your skull is melting under your helmet. Ice socks, bottles poured over heads and backs were the go to maneuvers for battling the overwhelming conditions. 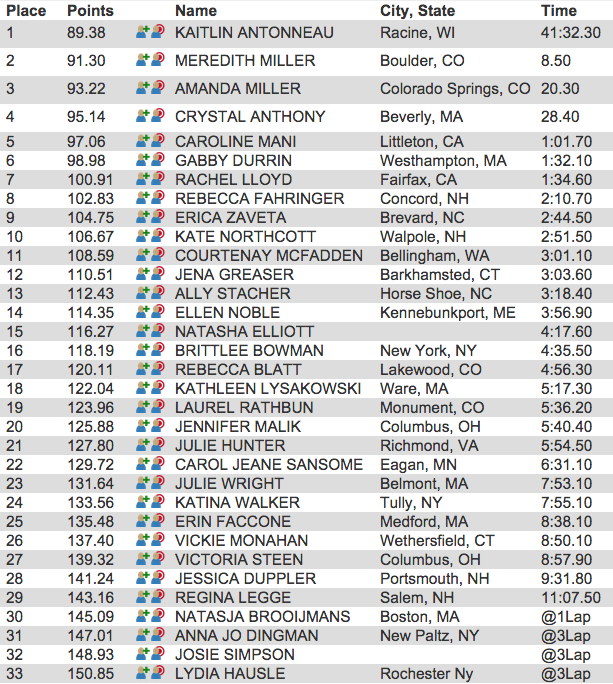 The Elite women got things cracking with a win by Katie Antonneau. Mani, Miller, Miller and Durrin all took a shot at the front of the race but Antonneau proved that power to weight ratio was huge advantage on a course with this kind of sustained climbing. Meredith Miller battled with Antonneau all weekend. Coming in second on Day 1 and winning it all on Day 2. Arley Kemmerer battles the course, the competition and the heat. 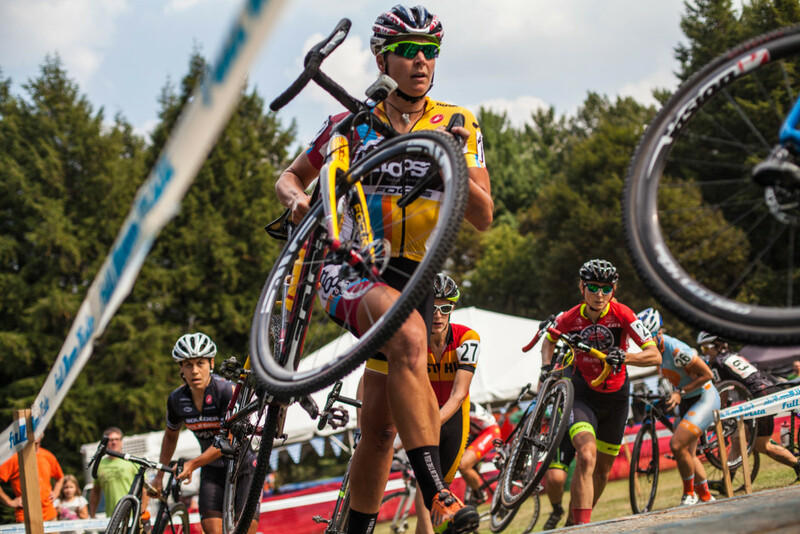 Gabby Durrin, living up to that #13 bib number, had her bike stolen before the race. 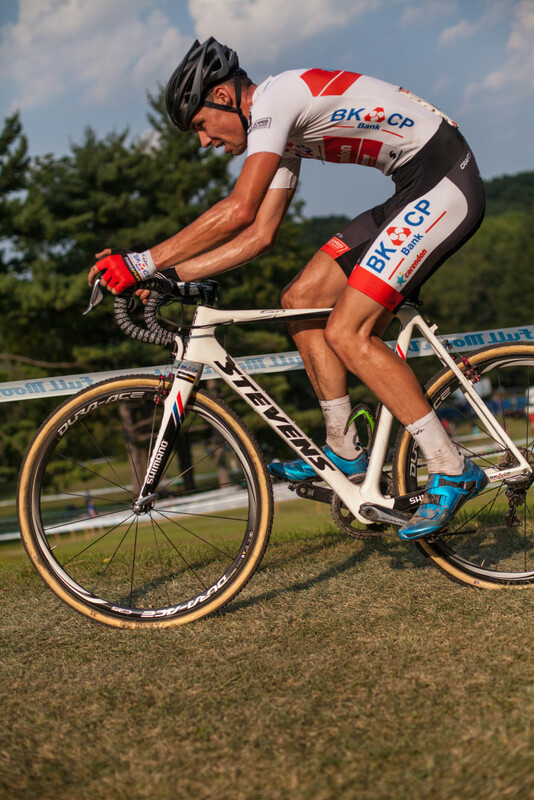 Vincent Baestaens was the sole representative from BKCP who came over from Belgian a week early (before CrossVegas week) in search of UCI points. Some bad luck on day 1 kept him off the pace of the leaders, but Day 2 saw the young Belgian dominate the field. 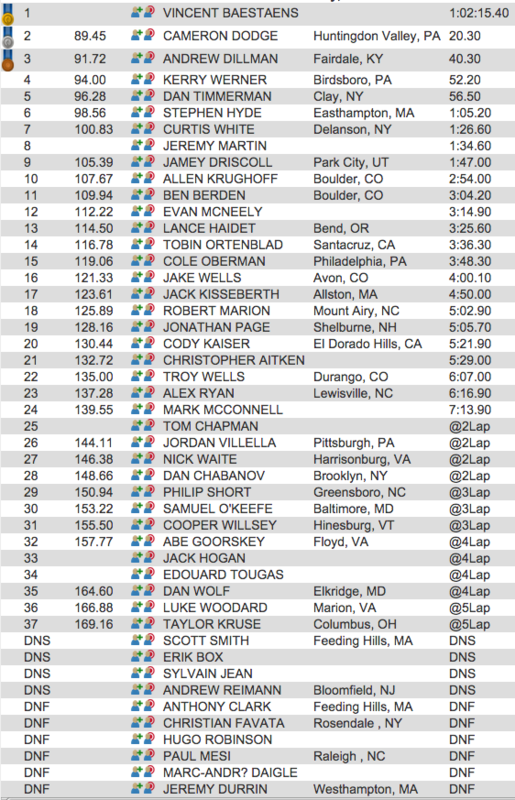 There was a pretty stacked field for the mens race and some revelations and continuations of last seasons antics. A visit from the Belgian Vincent Baestaens had everyone buzzing around the parking lot but unfortunately Baestaens took a pretty heavy tumble into the stairs on the opening lap resulting in a long chase under heavy heat. 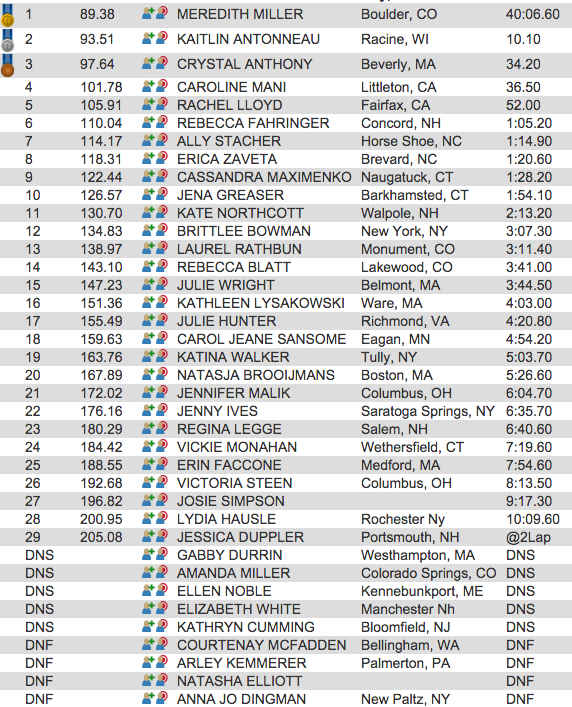 Baestaens absence did not take anything away from what was going on at the front of the race. Stephen Hyde turned up the pace early putting pressure on Powers and the front group. Dan Timmerman and Cameron Dodge rounded out the front end for the bulk of the race, Hyde would have a bit of crash later opening the door for Powers to twist the throttle and take his first big win of the year. 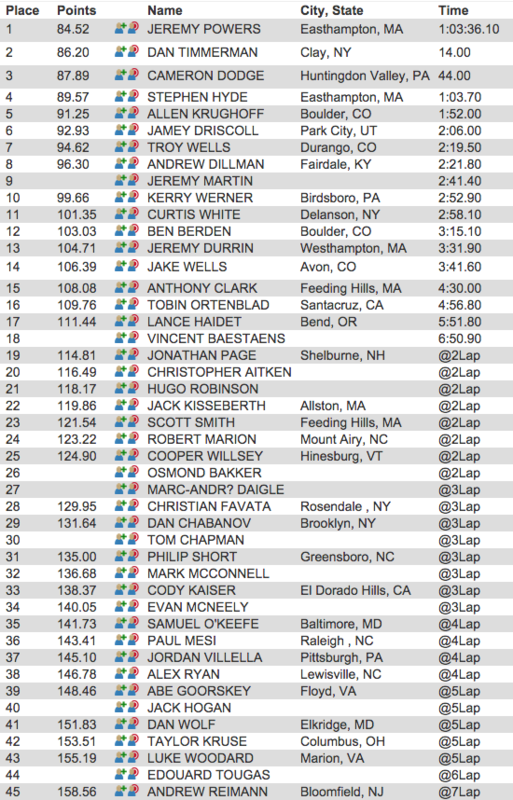 Stephen Hyde was in the middle of a great battle with Jeremy Powers for the top step on Day 1. But bad luck and a crash intervened leaving Hyde playing catch up as Powers rode away. Day 2 saw more of the same conditions, HOT!! 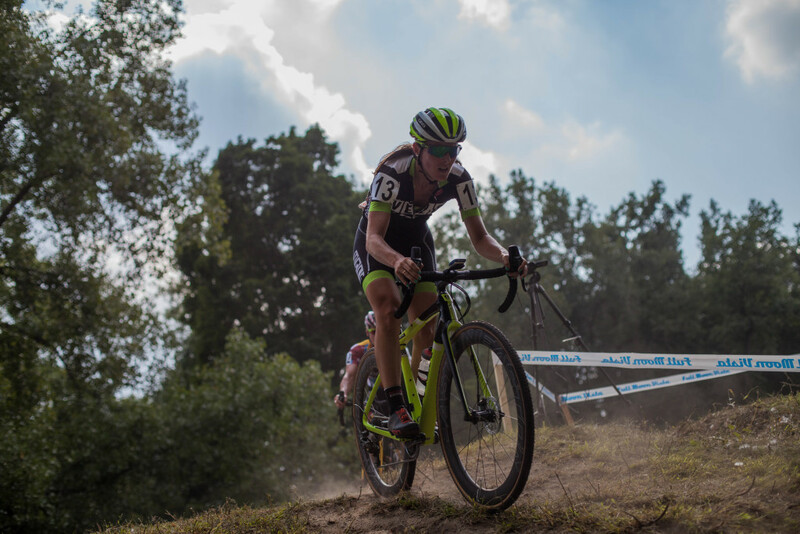 It also saw a shake up in the Women’s field with Meredith Miller getting the better of Antonneau with a late race attack. 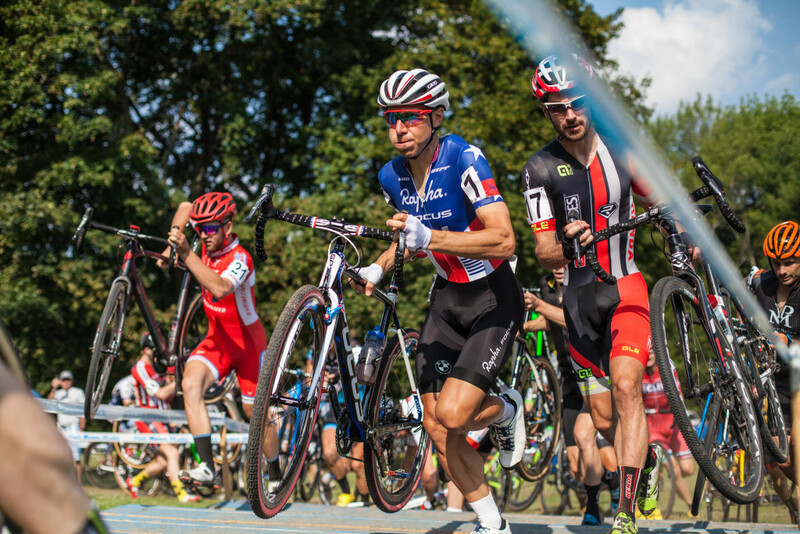 The men lined up without Jeremy Powers Sunday as he adheres to the C1 only schedule we saw him follow last year which opened the door for a recovered Vincent Baestaens. Baestaens, Hyde, Timmerman, Dodge, White, and Drew Dillman created a strong lead group with the perennial dangler Driscoll chasing hard for the bulk of the race. Allen Krughoff looking smooth with the high speed step through. 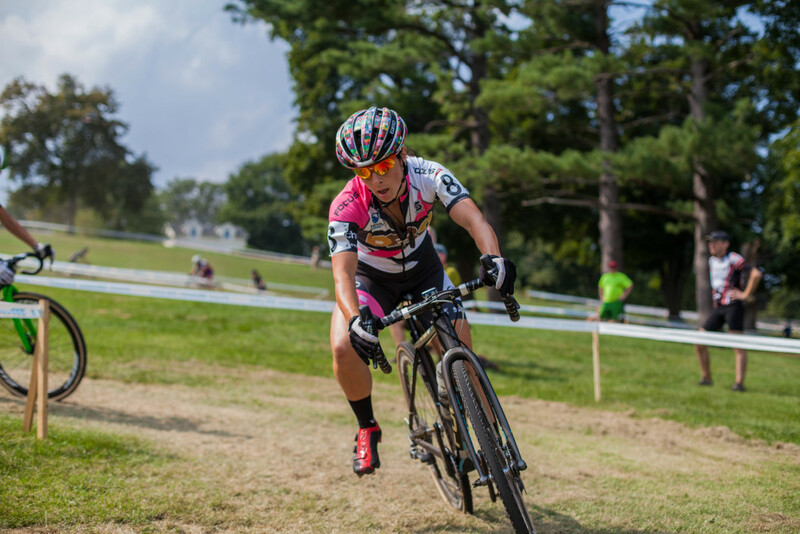 Rebecca Fahringer races her first UCI race under the Amy D. Foundation banner. 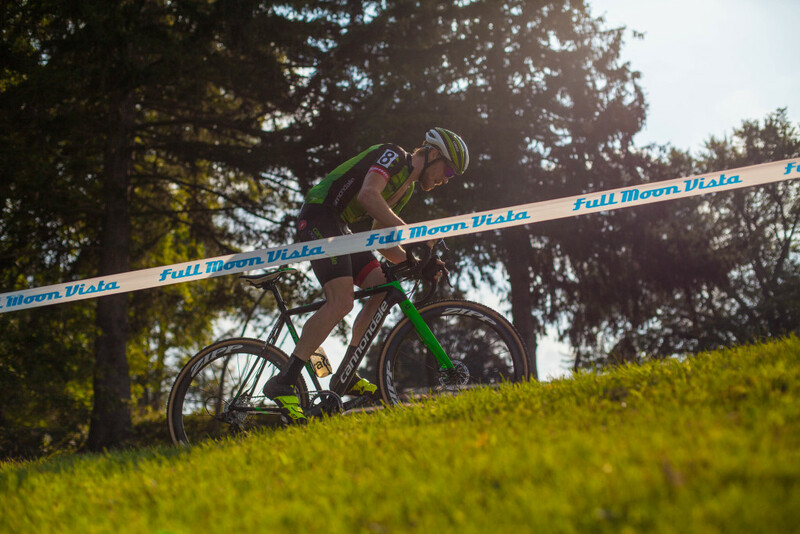 The slogan for Ellison Park was “not another grass crit” and that was very much a true statement. 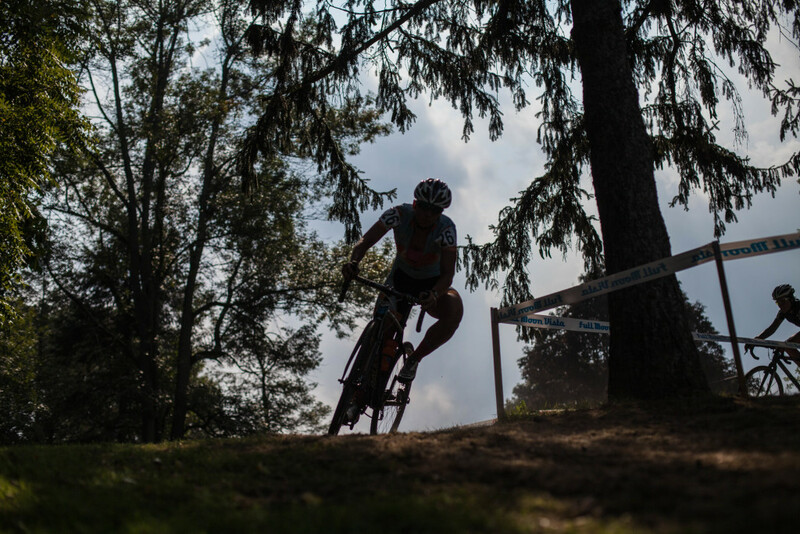 This course had a little bit of everything and a lot climbing, slalom down hills, rooty technical woods section, lots of places you had to make decision to run or ride and did I mention it was hot!